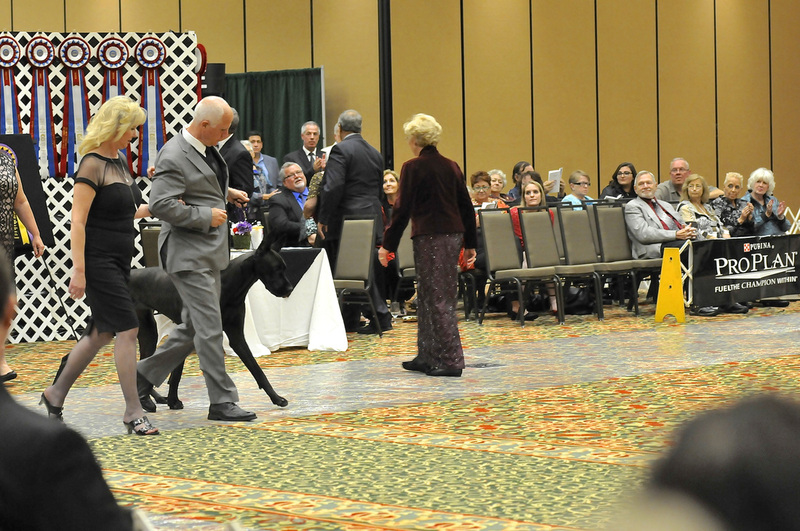 Sky earned her Grand-Championship at 19 months. 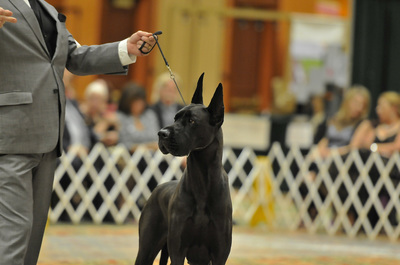 She was owner handled by Jere for all of her GCH. 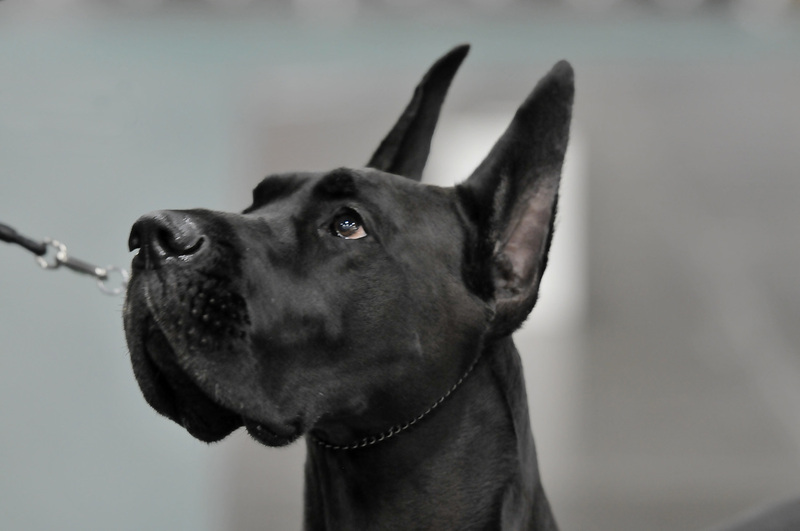 points. 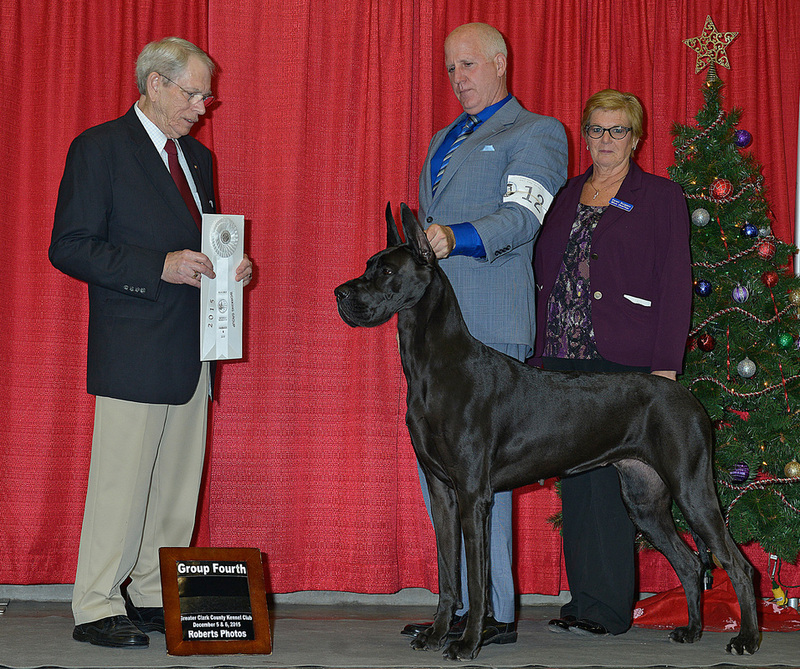 Sky is currently a Silver Grand Championship, and was ranked in the the Top 20 for 2015 and a Top 20 Contender for 2016. . She has accomplished this with local limited showing and all owner handled. Sky has multiple group placements and has been awarded Best in Specialty Show 2 years in a row at one of the largest shows in the Nation. 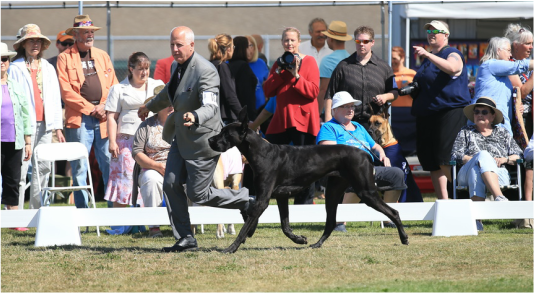 During the 2016 Enumclaw show Working Dog Specialty, Dane Specialty, and All Breed shows, Sky was awarded Best of Breed at all 6 shows. 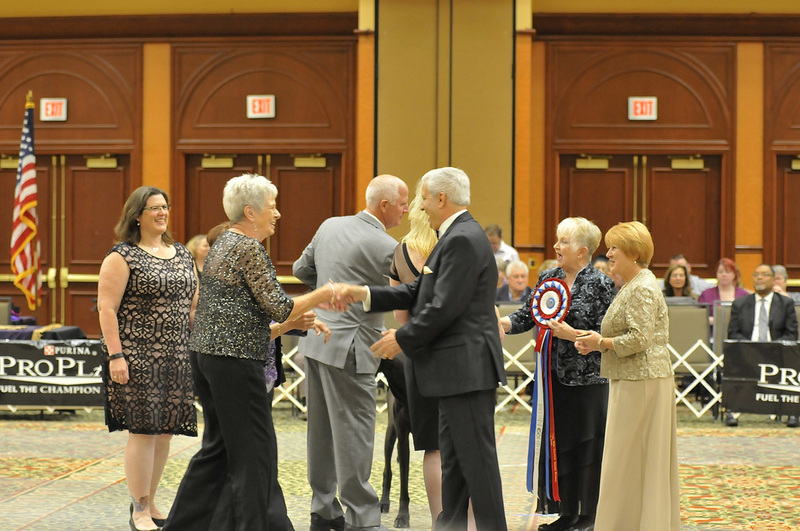 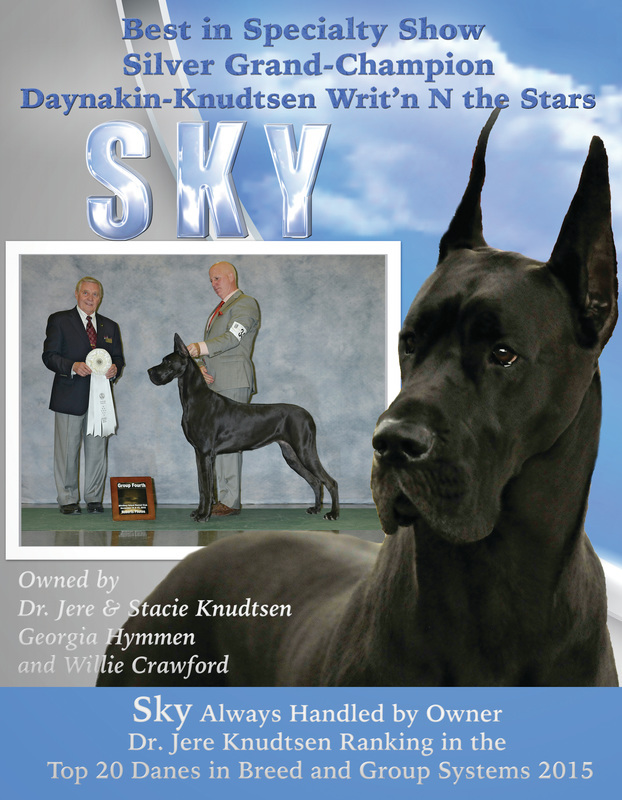 Sky going Best in Specialty Show under breeder judge Cathy de la Garza at the OKC circuit one of the largest shows in the U.S.
Sky wins Best In Sweepstakes at the GDCWW Specialty September 2013. 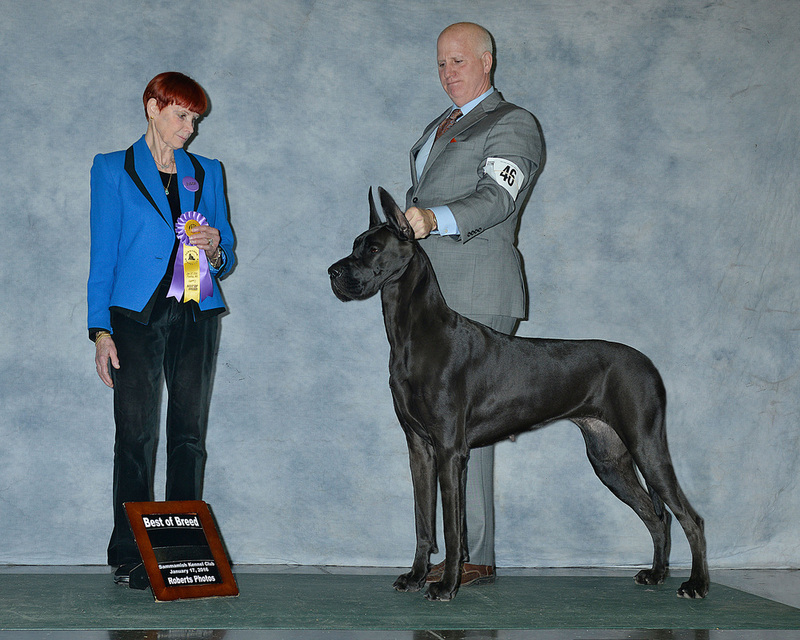 Handled by breeder/co-owner Georgia Hymmen. 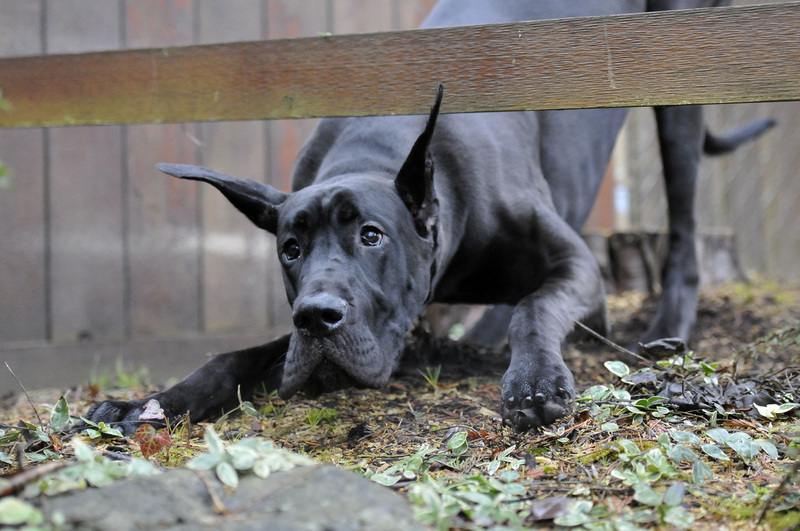 Sky pictured at her Daddy Koal's house while visiting Grandma & Grandpa Kocina! Stacie knew she was the one!